It used to be that cheap patio furniture could only withstand a few lounge sessions before getting that "dingy" look that signaled a trip to the curb. That's definitely not true for what's on the market today. 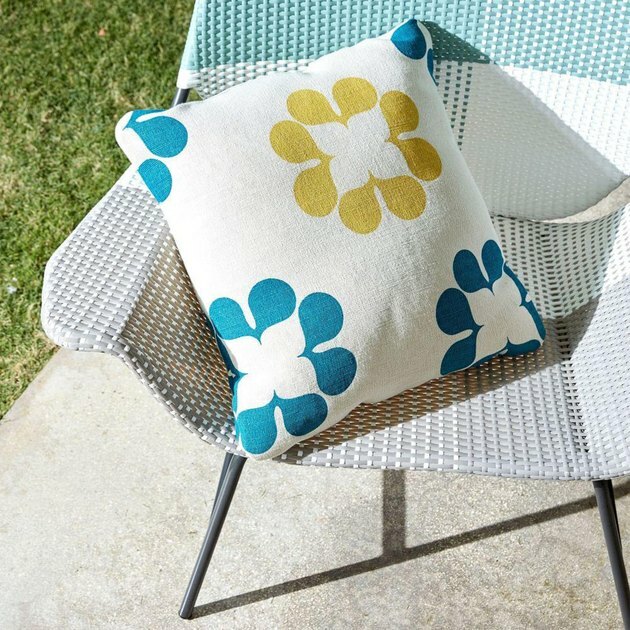 Rattans, weather-proof outdoor fabrics, and even metal accents offer durability without being a drain on your wallet — and even better, there are more than enough stylish options to make this space a summertime extension of your living room. Need proof? Here's how you can outfit a chic little seating area outside for less than one piece of a designer modular sectional. 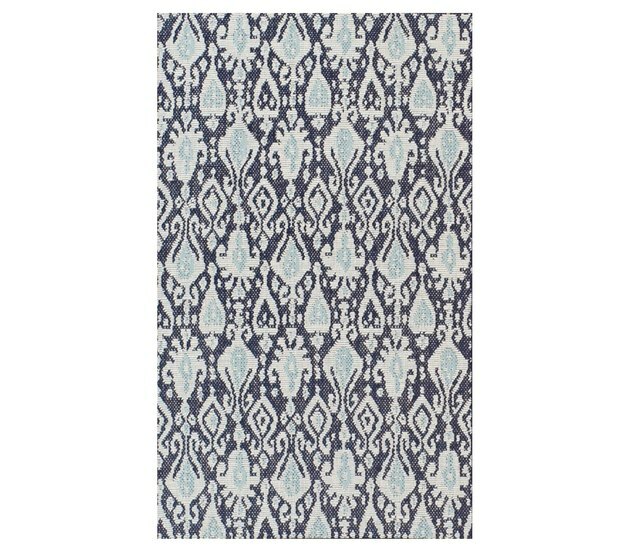 Ikat makes a great choice for an outdoor rug, since it adds a pattern that doesn't distract from the rest of your patio. This version is made from a very durable polypropylene-jute blend, which means you can leave it out without worry. 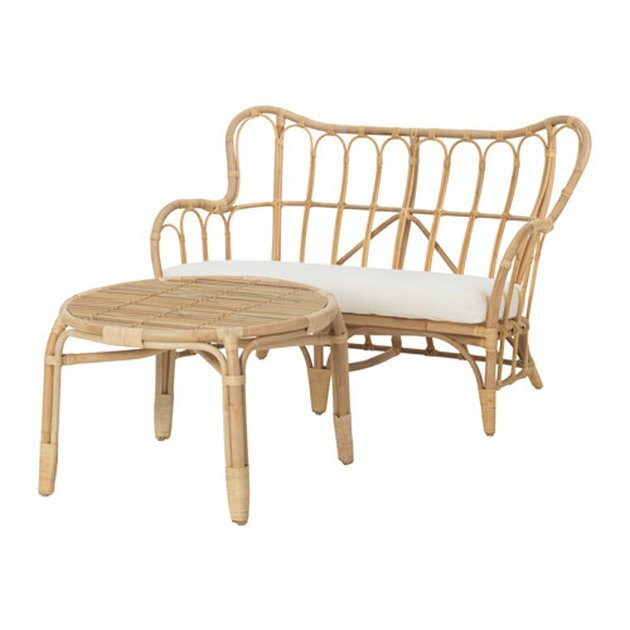 Rattan has been a classic material for outdoor furniture for decades, mainly because it's flexible enough to be formed into all sorts of charming silhouettes. This well-priced set feels upscale, but is more than a bargain. 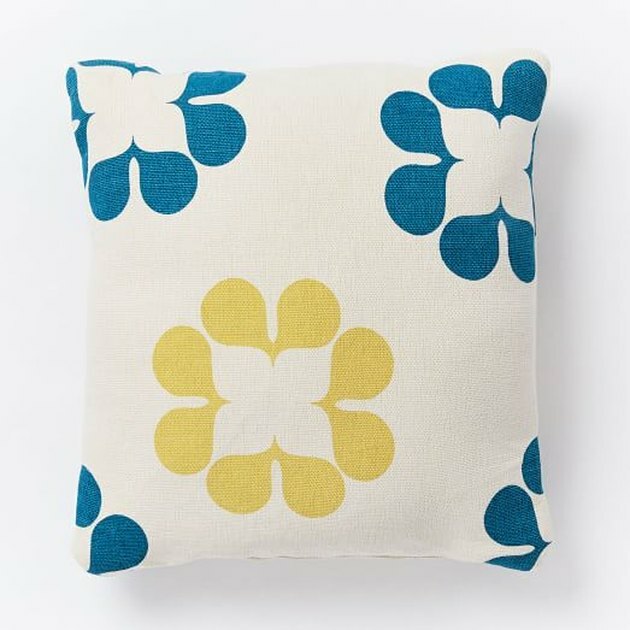 This colorful floral pillow will bring plenty of personality to the outdoor seat. The blue of the petals picks up the hues in the rug quite nicely, too. 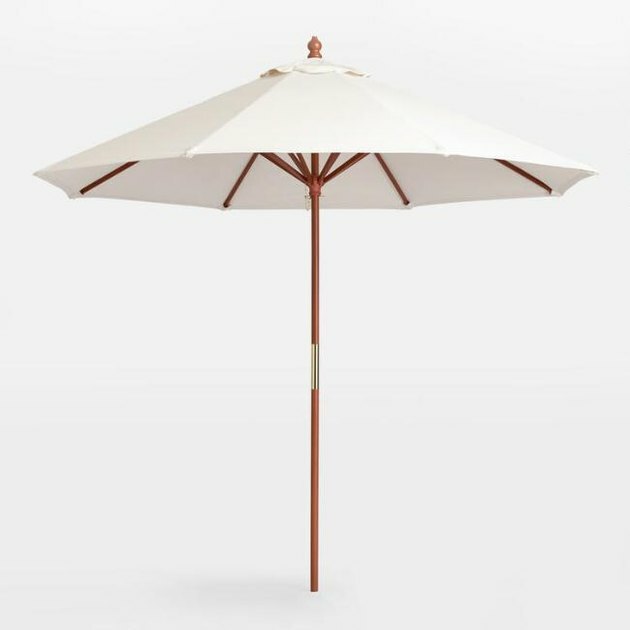 You will need to buy the umbrella and canopy separately, but the savings really add up here — umbrellas generally go for more than $100 when sold as one. Plus, World Market offers plenty of different colors and patterns, if you're looking to change things up in the future. 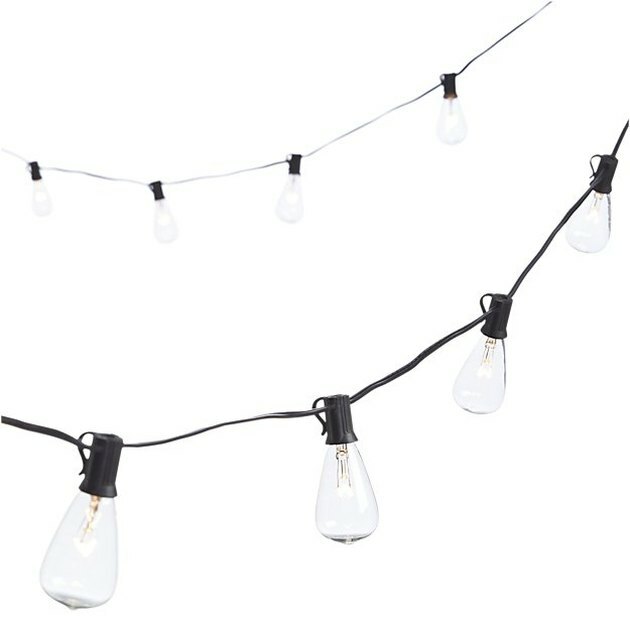 String these old-school bulbs around the umbrella canopy for instant mood lighting. The little clips near the base of the bulbs will hold the set securely.